We love Rokker; it’s as simple as that. We love what the company stands for. We love the way the company operates. And we love the products they make. When it comes to single-layer jeans, nobody can hold a candle to them. First there was the Revolution that is made from Schöeller's Dynatec and denim. With a laminated waterproof membrane on the inside, these jeans are lightweight, and as waterproof as anything you’ll ever ride in this side of a plastic bag. And they're pretty tough too, with an abrasion slide-time of more than three seconds. That’s not quite up there with leather, but in almost every climatic condition the Revolutions will be nice to wear. 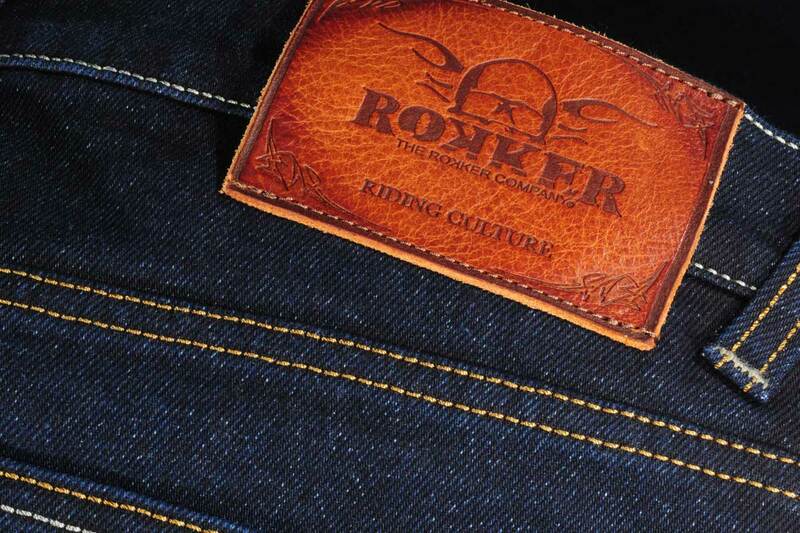 And then, last year, Rokker launched their insanely strong Rokkertech jean. These babies wear just like a high quality denim jean. In hot weather they flow air almost like a mesh pant, and that’s because, of course, they’re unlined. But what makes the Rokkertech stand out from the crowd is their incredible slide time of 6.31 seconds. That makes them about 50% stronger than a pair of leather pants. And that’s all in a jean that you could wear to the pub without anybody ever knowing that you’d ever thrown your leg over a bike. For us, the slim-legged Rokkertech jean was the highlight of 2017. We sold a shed-load, and everybody who has ever bought a pair loves them. Some people, of course, just don’t get this, and can’t get their heads around a denim jean that costs £350. And that’s perhaps the problem; they look just like a denim jean. They also feel like a denim jean, and they even wear like a denim jean. One recent visitor to our Guildford shop simply could not be convinced. He was shocked at the price. For nearly 20 years, he told us, he’d only ever worn a pair of Levi 501s on the bike, and they had never let him down. Had he, we asked him, ever fallen off his bike? No, he told us, he never had. He didn’t seem to understand the point we were trying to make! We could have explained to him that if he did ever come off the bike, his jeans would almost certainly burst on impact with the road. A high street jean will normally record a slide time of less than half a second. Sliding down the road at 60 miles per hour with jeans that have split open is never going to be a pretty sight. It all comes down to the value you put on having perfect skin! With Rokker’s Rokkertech jeans, it's almost inconceivable that your skin will ever, in normal riding conditions, be exposed to the road. Which is why Rokker gives the Rokkertechs their crash guarantee. If you wear through the fabric by sliding down the road, they’ll give you a new pair. To date, it’s never happened. But, until now, there’s only ever been one style and cut in the Rokkertechs. Called the Rokkertech Slims, they come in a lightly washed finish, and the fit is pretty narrow. 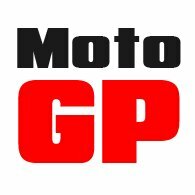 Well now there’s a new version, and it’s exclusive to us here at Motolegends. The current Rokkertech is technically what is called a 'straight-slim' cut. That means that, above the knee, the leg is straight. Below the knee, the leg tapers slightly down towards the ankle. It all makes for a very stylish, modern jean that is rather flattering. But it’s not for everybody. Rugby players need not apply, but more importantly the fit at the ankles means that they can only really be worn with short boots. You will struggle to get a tall boot on underneath them. Well the new Rokkertech Straight is technically a 'straight-straight' fit. That means the fit is straight both above and below the knee. It’s not at all baggy; in fact, it’s quite slim in many peoples’ eyes, but it doesn’t narrow in the bottom half of the leg, so wearing a pair of Daytonas beneath them isn’t a problem. 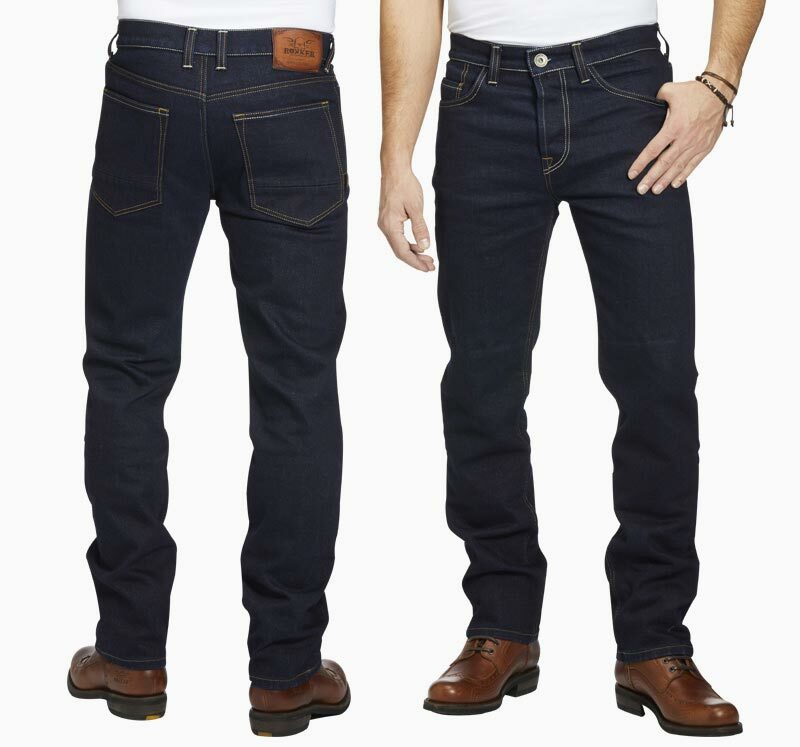 If you know your jeans, the Rokkertech Slim is not far off a Levi 511. The new Rokkertech Straight is more like a 504; that's somewhere between a 511 and a 501. 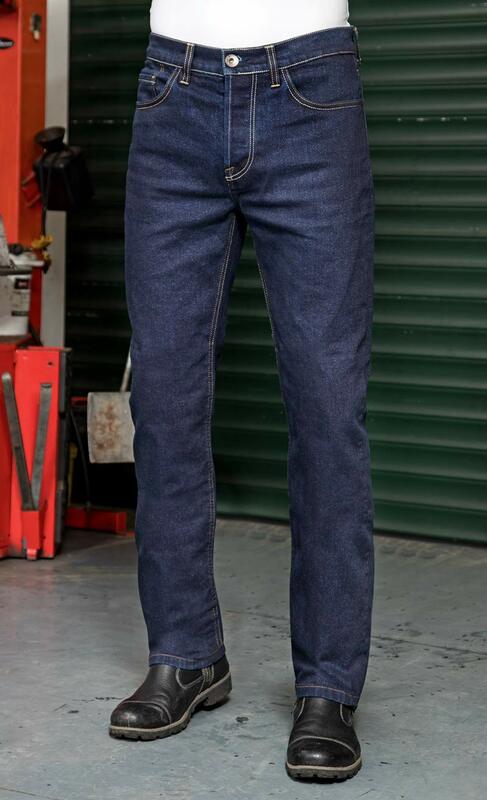 The Rokkertech Straight also has a ‘raw’ finish, which is what the real denim aficionados hanker after. 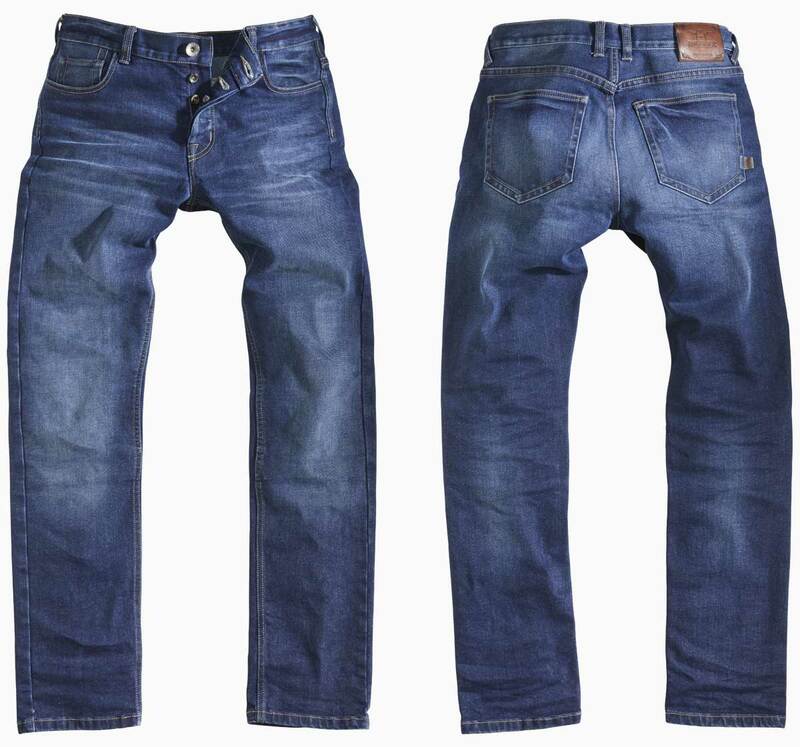 Basically, a raw jean is an indigo jean that has not been pre-washed. It has to be cared for and looked after in a particular way. You shouldn’t wash them too soon after you start wearing them, and you shouldn’t wash them too often. But if you care for them properly, they’ll reward you with an authentic patina that is totally yours. The good news is that the new Rokkertech Straight is now in stock. The bad news is that it only comes in 36”, 34” and 32” leg lengths, so it won't work if you're particularly deficient in the leg length department. We can, of course, shorten the trousers, but as the armour pocket is fixed, this will normally mean that the armour will sit too low. Some people get around this by not wearing the armour, or by wearing a 'knee-pocket'. That's the bad news, but the even worse news is that the 32” leg lengths won’t be with us for another week or so. It’s still exciting news, though. Here’s a simply amazing, immensely strong and comfortable motorcycle jean that you can wear all day on and off the bike. And now you can wear a pair over proper motorcycle boots too. You’ll only find them at the Motolegends store in Guildford, or on our website. If you want to try a pair on, come and see us. But, as ever, phone ahead first, and we’ll put a pair aside for you.